Preston Motes is a private sector development specialist with 20 years of experience in program management and the design and delivery of technical assistance in the areas of micro, small and medium enterprise (MSME) development, business enabling environment, export promotion and trade competitiveness. He currently serves as the Chief of Party for the USAID-funded Building Economic Sustainability through Tourism (BEST) project, a $36 million, 5-year project seeking to enable Jordan’s transformation into a globally competitive tourism destination. 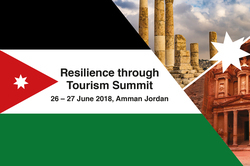 The project works with governmental, non-governmental and private-sector stakeholders to strengthen Jordan’s tourism facilities and services; improve management and promotion of primary and secondary tourism sites; support the growth and sustainability of tourism enterprises, boost marketing efforts; and increase employment of women and youth in the tourism and hospitality sector.